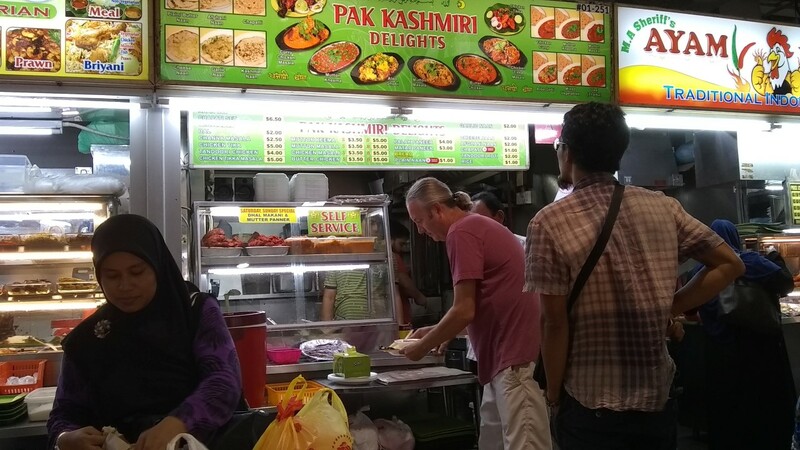 It was our last full day in Singapore and we had not yet had nasi lemak. This situation needed to be rectified, so we headed out to Adam Road Food Centre. The food centre had a nice, laid back atmosphere. 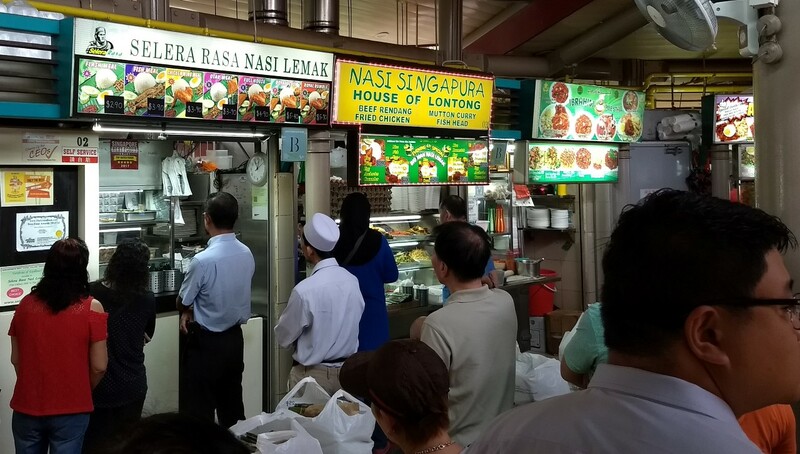 It was reasonably quiet apart from our destination, the Seleara Rasa stall, which had a good-sized line. It didn't initially seem that bad, but it turned out that many people in line were ordering multiple (or a dozen) meals to take away. It took the better part of a half-hour to get food, but it was worth the wait. 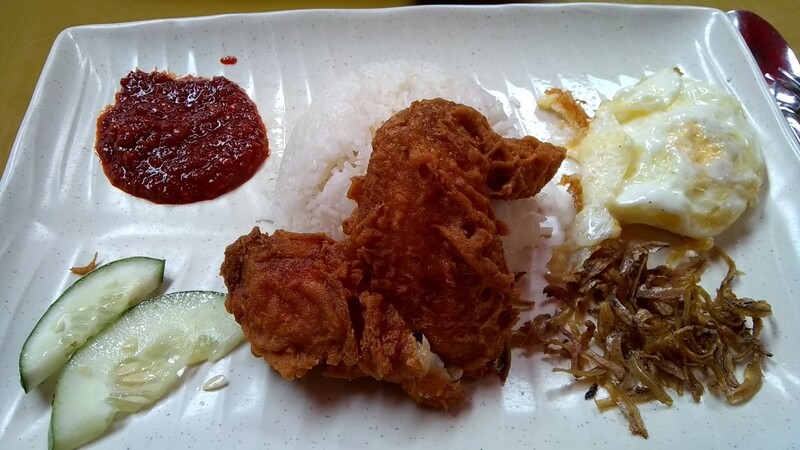 Sherry got a set that included a fried chicken wing, coconut rice, egg, little fried fish, cucumber and a sambal sauce. 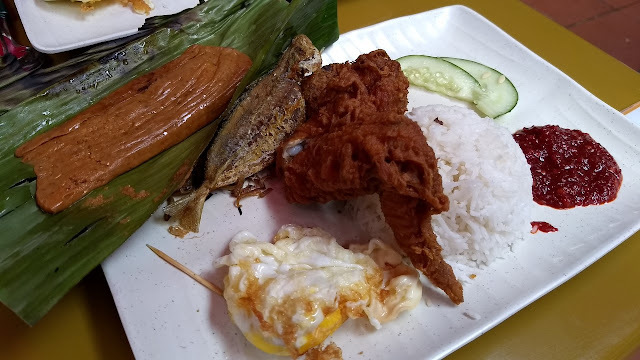 I got the "Royal Rumble", which included pretty much one of everything - it added a fried fish and otak-otak (fish paste steamed in a banana leaf). 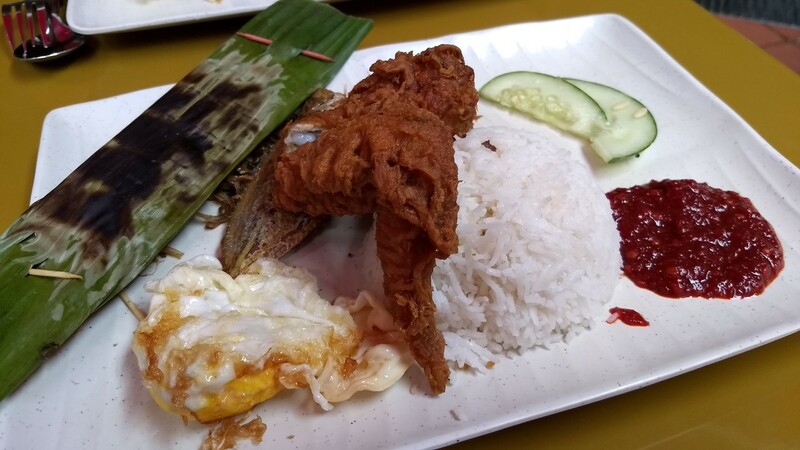 The fried fish was nothing special, but we really enjoyed trying the otak-otak. A little later we found ourselves in need of a little something to eat, so we headed out to Tekka Centre (yes, for the third time). 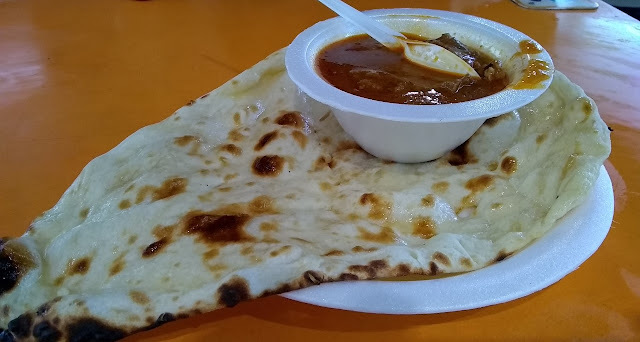 Along with the naan, we had a little bowl of mutton curry. It was quite good, but really we just wanted it to dip our naan in. Yum.